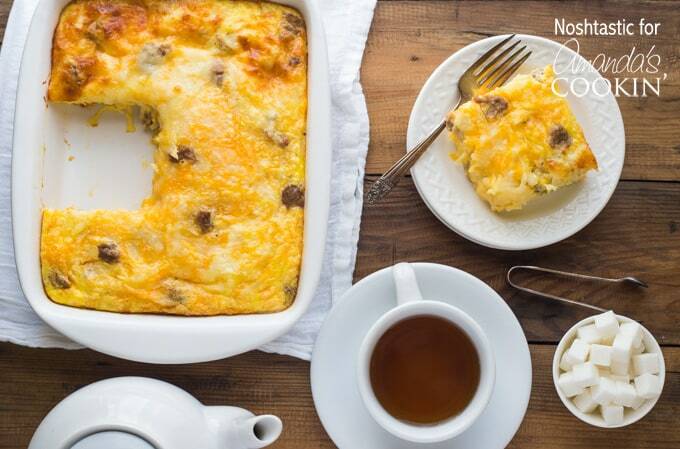 Turkey Hash Brown Breakfast Casserole: perfect for brunch! 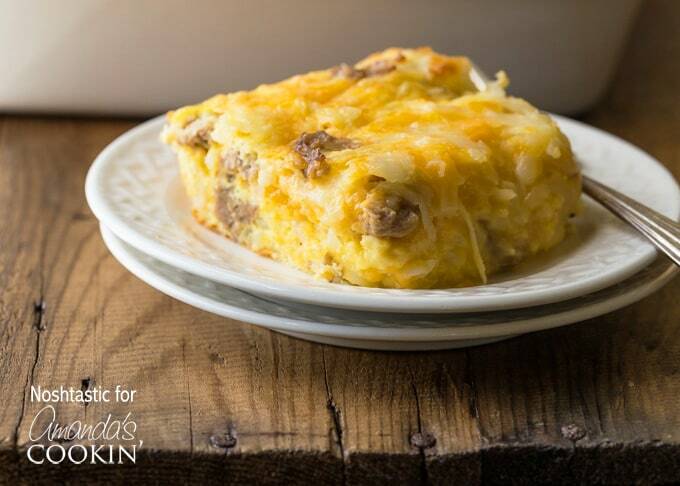 My Turkey Hash Brown Breakfast Casserole is so easy to prepare and perfect for a quick weekday breakfast or a lazy weekend brunch. If you’re looking for something a little different from your usual pancakes or waffles then you really need to try this recipe! I don’t know how it is in your house on weekday mornings but in mine we are creatures of habit, mostly because we are all in a rush! We all tend to have the same old breakfast every single day. For the grown ups that’s usually a cup of tea or coffee and grabbing something as we run out the door, and for the kids it typically involves nothing more exciting than breakfast cereal or toast. On Saturday mornings we like to treat ourselves to a nice home cooked breakfast, I’m a big fan of bacon and eggs so that’s often what we have. 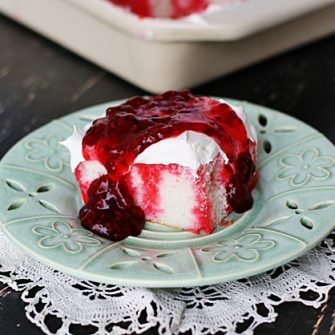 Every other week or so I like to change it up a little and cook something different so when I saw a recipe similar to this one in an old Taste of Home cookbook I have, I knew that everyone would love it. Because this casserole is so simple to prepare you could easily make for a busy weekday morning, it’s not just for the weekend! If you cook the turkey sausage and onions the night before and prepare the remainder of the ingredients ahead of time then all you need to do in the morning is turn on the oven and bake it while everyone is getting ready. If you need a great recipe for breakfast waffles or pancakes then you really love my gluten free pancakes and gluten free strawberry waffles, they’re also quick and easy to make. 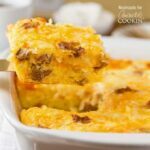 I also came across this Overnight Fireman’s Breakfast Casserole that looks delicious, so I’ve added to my “recipes to try” list. If I want something indulgent for breakfast, Strawberries & Cream Stuffed French Toast is a top choice. Delicious! You really have to try this Mocha Smoothie Bowl, a great way to get up in the morning! If you’re like me and ready to run out the door in the morning, make sure you make yourself a Loaded Coffee Smoothie first. If you have kids, you’ll thank me for these Homemade Freezer French Toast Sticks. Perfect for popping in the microwave on busy school mornings. Heat oil in a large skillet and add the chopped onion and saute for a couple of minutes. Then add the ground turkey and sprinkle on the Italian herbs and cook on a medium - high heat for 3-4 minutes, stirring frequently. In a bowl, whisk together eggs with the salt and pepper. Stir in the hash browns, half the cheese, onions and turkey, to the bowl with the eggs. Transfer to a greased 13x9-in. 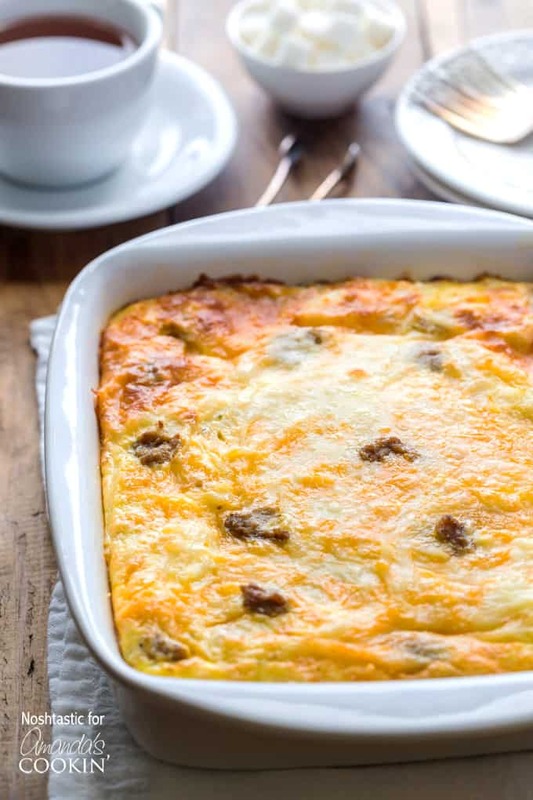 baking dish and top with remaining cheese. Bake, uncovered, at 350° for 35-45 minutes or until a knife inserted near the center comes out clean. Originally from Scotland, Sheena and her husband moved to Mississippi in 2008 after living in London, England for several yearsIn 2009 Sheena discovered she had Celiac disease. Not long after her diagnosis, her youngest son was also diagnosed with Celiac. After a lengthy recovery process, her blog Noshtastic was born. 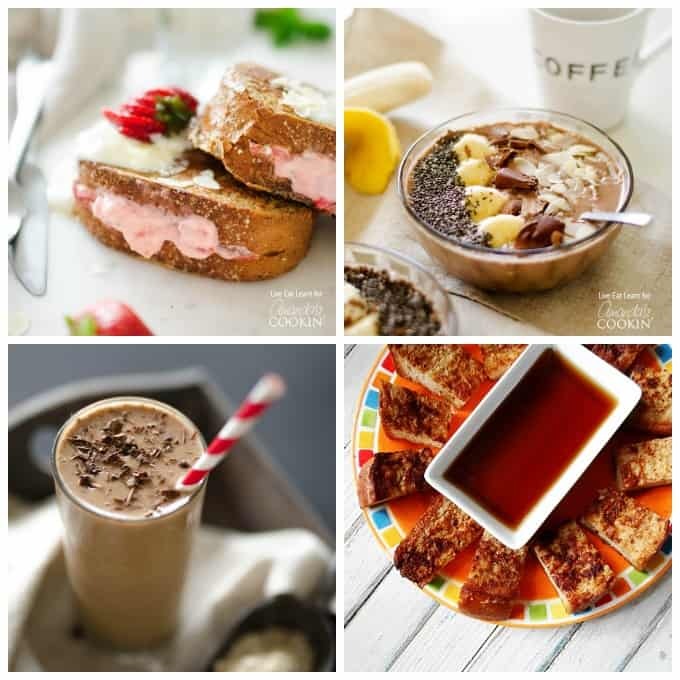 She now loves to create gluten free recipe that are full of flavor!